Among the many Kickstarter games that were successfully funded, there are at least three that fall under the category of online card games. As of last count, a total of 14 proposals have been received. Out of this number, 10 failed to get their funding goal and 1 still has an ongoing funding campaign. Three out of fourteen is good enough, considering that there are many proposals as well for various gaming forms. 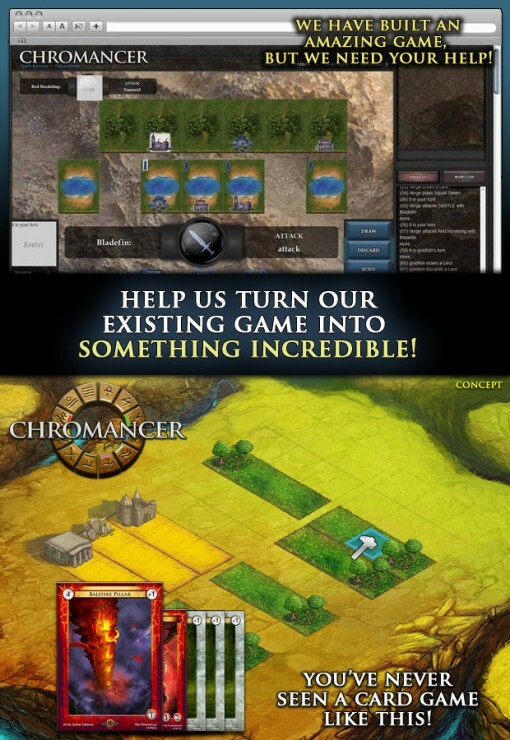 Chromancer is a browser-based, free-to-play trading card game played exclusively online. Players will not be required to make any download. The game has been developed to be easy to learn but tough enough to master. All the cards can be earned by playing the game as a free player, being true to its representation as a free game. The aim of the game is not the usual reduce the opponent’s life points to none but to strategically disable the opponent while adapting to shifting game rules. This project obtained a total pledge of $ 68,319, overshooting its funding goal of $ 60,000 courtesy of 570 backers. Orbs CCG is a deep strategy online collectible card game. Games can be played live or asynchronously, meaning it can be played one turn at a time. It is essentially similar to correspondence chess, only more exciting. There is no need for players to be present in one location and playing the game together. 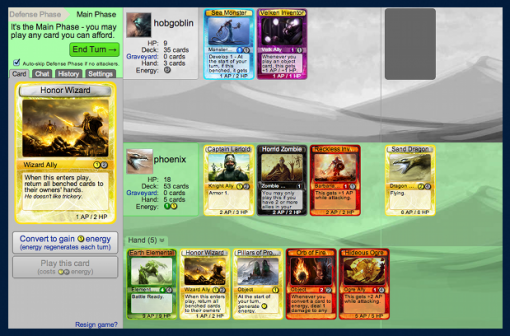 Asynchronous play involves notification of players once it is their turn to play. Every turn takes less than a minute to play so players can take their turn during breaks or short lull times from work. This project obtained a total pledge of $ 2,043, just a little over its funding goal of $2,000. It has 56 backers. 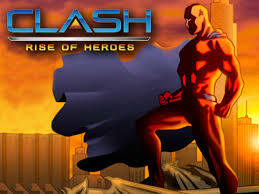 Clash is another online collectible card game (CCG) but this time set on a superhero universe. It is expansive, imaginative, and fun, mainly because of its setting. It is a free-to-play CCG which will not take more than 30 minutes to play. With over 75 characters backed by a colorful biography, you would think that there is no more room to add more. Players however can create their own superheroes and villains to fight alongside the staple characters. This project obtained a total pledge of $ 10,021, slightly over the goal of $10,000. There are 40 people backing up this project.